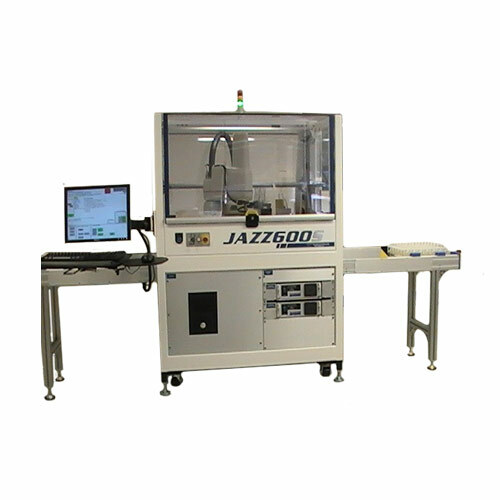 he newest addition to our JAZZ Cell family of products incorporates a SCARA robot to provide a highly flexible assembly system. The Robot, of industry-standard type, can be used to remove adhesive components from an array of up to 3 PL100 Applicators. It can also be used to transfer substrates between the Applicators for multiple adhesive component placements. Customized material handling systems including conveyors, tray stackers, and more can be integrated with the JAZZ 600s.